hd00:18Plasma cutter slicing through hard steel plate, closeup. Cutting a decoration or part used in industry. 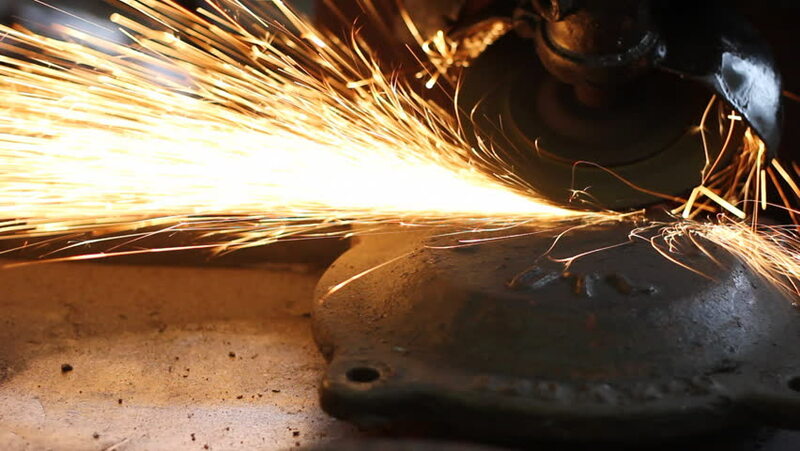 Sparks and molten metal from automatic machine. Industrial equipment. hd00:13Welding two parts of heavy rusted steel on a work table. Small business helps keep employment high. Manual labor and skilled metal worker. hd00:29Laser CNC lathe. Plasma cutting of metal. Welding on an industrial plant.